Join enrolled campers and community families for joyful afternoons. Camp Ramah staff will lead activities for both kids & parents. Come to one or all! 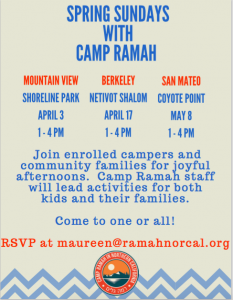 We encourage you to wear your Camp Ramah T-shirts and get ready to meet both new and old friends. 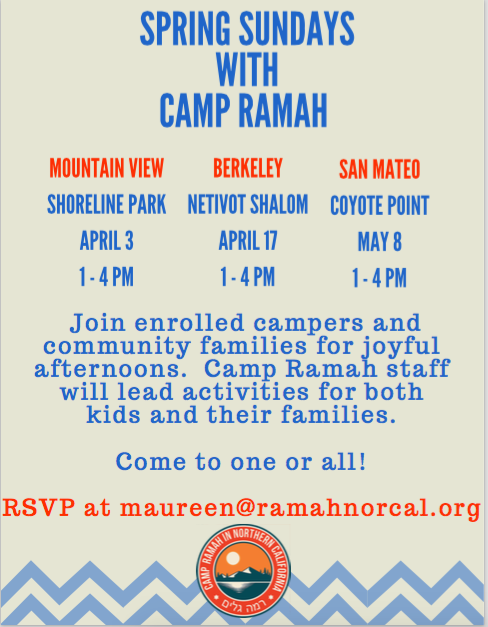 Please RSVP or forward your questions to Maureen Krantz, Director of Community Engagement at maureen@ramahnorcal.org.